Gretchen Hancock, Programs Manager for Corporate Environmental Programs; General Electric Co.
Gretchen Hancock is Programs Manager for Corporate Environmental Programs at General Electric Co. In this capacity, she manages GE's EHS professional development and training activities; oversees compliance assurance and management system auditing; and manages the company's energy use reduction program as part of ecomagination. 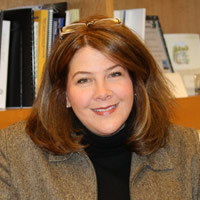 From 1999 until 2006, Ms. Hancock served as global environmental program manager for GE Aviation’s Engine Services business, where led reporting compliance and provided hands-on assistance at facilities worldwide on issues such as aircraft engine test cell permitting; implementation of hazardous materials transportation security rules; and compliance around complex chemical reporting regulations. Prior to joining GE, she was a senior compliance auditor at Environmental Strategies Corporation (now a part of WSP). She has a Bachelor of Science degree in Geology from Dickinson College.